Thinking of switching to Gmail, but afraid to lose all of your old emails and contacts? Don’t be. Gmail can easily grab your old emails, especially if you were already using a web-based client. And even if you weren’t grabbing those emails is perfectly possible. Maybe you’ve wanted to switch to Gmail from a long time, but are hesitant because you don’t want to leave behind your old messages. This makes sense: the hardest part of switching from one email account to another is migrating your old email and convincing all of your friends to use the new address. Unless, of course, you’re switching to Gmail: it can grab all of your old email and contacts automatically. You can even keep receiving mail from your old email address, so long as it exists. If you’re using an email address provided by your ISP you should switch to Gmail now. 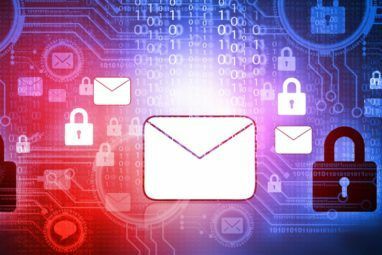 If you keep your old address you won’t be able to bring your email with you when you change providers, and the interface you’re using for email is almost certainly ad-ridden and terrible. Importing from an old email address isn’t a new Gmail feature, but it’s one someone switching to Gmail won’t necessarily know anything about. Here’s how it works. Like I said: you can, if you stored your email online, easily import all of your email and (maybe) your contacts to your new Gmail account. The process isn’t incredibly complicated, but let’s go over it anyway. The above process should grab all of your old email, and will also grab any new email sent to your old address. It will only do so, however, for 30 days – that’s supposed to be enough time for your to inform your contacts of your new email address and move on with your life. As you can see I’ve already set one address up. Click the “Add a POP3 mail account you own” and you can go through a similar process as above, entering your POP3 information. Your email will be pulled down from now on; you can use the Gmail “refresh” button anytime to force Gmail to check all of your POP email accounts. You can even, if you want, send emails from your old email address from within Gmail. That process is on the same page, and requires you to know your email settings for sending or to enter a code send to you. 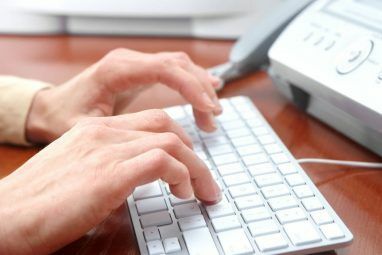 Note that if you’re switching your email address from one provided by a former Internet provider your old email address will likely stop existing soon – the above process will not change this and your old email address will eventually stop working. Sorry about that; blame your old Internet provider. 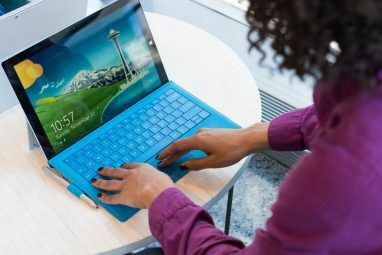 If your email currently live in a desktop-based client, such as Microsoft’s Outlook for Mac’s Mail, your might not get all of your email using the above process. There’s a simple reason for this: the email is not stored on your email server but instead on your desktop. Sorry about that, but there is a solution if you want your old messages and contacts to move to Gmail. Now you need to a set up Gmail’s IMAP service in your desktop client. This page includes instructions for most major email clients. Once IMAP is set up in your desktop client you can click-and-drag email from your old inbox to your new Gmail account. It’s slow, and you might need to leave your computer running for a long time, but it will work. Be patient. If you’re a Google Apps customer there are a variety of tools for making this easier. Free Gmail users need to stick to the instructions above. For your contacts you’ll need to import from a CSV using these instructions. It’s an imperfect process but it mostly works. I used the same mechanism to import my hotmail account. It has been the 8th day and it is still importing. From the last 4 days there is no update in the emails but the status is still displaying "importing - ........."
Can you guide me what is going on? Am trying to import my Yahoo account Emails Over to GMAIL - following the steps that have been shown - but I keep getting an Error Msg and don't get to complete the process - not clear if Yahoo has to be enabled as well for this - pl help give pointers. Gmail Error Msg - "Could not validate this combination of email address and password. If you are sure your password is correct, sign in to your other mail provider to confirm and complete any necessary captchas or image verification tests and then try the import again"
I can't think of any reason this wouldn't work, unless you somehow typed the wrong password. Have you tried logging into Yahoo lately? Can I use this as a back up option? If I import everything from my hotmail account to a gmail account, do I lose everything from my hotmail account? No, you won't lose anything on your Hotmail account, so you could also use it for a backup. Note that the import option only works for 30 days. To continuously back up email coming into your Hotmail inbox, you have to set up POP3, the second option described above. Should be as simple as using the import function outlined above, I think. Excellent solution. This is a much easier and cleaner solution than most I have found for importing emails, in my case from Outlook for Mac to Gmail. It seems that IMAP is better than POP3 anyway! I have been going round in circles for hours trying to resolve a disastrous attempt to migrate to Google Apps for Business (which only allows you to migrate all or no mail accounts on your company domain) but that's a long story. So thanks, a real life saver. Why are "easy" applications often so hard? I have tried several times to "import mail and contacts" from my hotmail account. Every time I get an error message in red "could not be imported" and "delete" shows on right hand side. I am trying the POP3 thing, but would really like to import my contacts because I've had that hotmail account for 20 years! Switching because of android phone. Thanks for any advice / help. Let me know if you have any more problems. 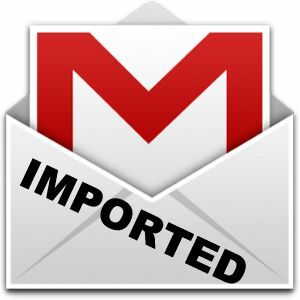 I was able to import the inbox emails to the new gmail account, as described above, but the emails in the "sent" folder were not imported. Is there any way to import these? Thx. Give it time? I think they'll show up eventually, but it depends on your original email carrier I guess. Beyond that you might need to use the desktop email client method for the job. I am trying to pull my past emails from one business gmail account to another(gmail) and in the settings is only has "account" not "account & import". I looked on my regular gmail accont and is has the import option like you said but then not on my business account. Do you know how to help in that situation? I believe this is admin-only for Google Apps users. Check with your company's Google Apps administrator. Thank you for your article. I have 3 email accounts through yahoo (sbcglobal.net) and was able to successfully, without problems, move emails, folders, & contacts over on 2 of the accounts to the 2 new gmail.com accounts, however the third one won't move to its account. I get the error message "Could not validate this combination of email address and password. If you are sure your password is correct, sign in to your other mail provider to confirm and complete any necessary captchas or image verification tests and then try the import again." I know they are correct since I can log in to the yahoo account with no problem. What more can I do? I know I can do the contacts another way, but I really need to move the folders. Hate to have to forward each email in the folders over, since there are dozens and dozens, but what else can I do? Thanks in advance for any help. Not much I can think of to do, other than trying again, perhaps after waiting a while. Sorry. Thanks for your fast reply. I think I might try changing the password on that account, and then trying the import. If it works, I'll let you know. Fantastic idea. Let us know if it works! Thanks for sharing, this is absolutely helpful information.. Beyond Inbox Development Team Member. Beyond Inbox is a tool to back up, restore, copy and move mails which work on every OS (MAC,Linux,Windows). The only thing preventing me from a migrate is that I have many emails organized into folders. Now if there was a way to import into gmail and have it take the folder name and tag the emails with folder name that would be perfect. Or if emails could be exported per folder from hotmail and this way these could just be manually tagged within gmail. Meaning for each folder one would need to do an export. Time consuming but at least you retain the organization of your emails. Earlier I had tried it but failed , thanks for this article ,now I can successfully import emails from my old email service provider to Gmail. Knowing that makes writing the article worthwhile. Thanks for leaving a comment! I still have yahoo email accounts bombarded with only spams. Want to try to import it to my gmail. If they just get spam maybe it's better not to import...just saying. I am doing all the steps correctly, but it doesn't go well. Below warning appears. "Could not validate this combination of email address and password. If you are sure your password is correct, sign in to your other mail provider to confirm and complete any necessary captchas or image verification tests and then try the import again." I am getting this same problem. I know my password is correct but I still get the message "Could not validate this combination of email address and password. If you are sure your password is correct, sign in to your other mail provider to confirm and complete any necessary captchas or image verification tests and then try the import again." Who is providing your email? Sometimes your email address isn't enough, so you'll need to look up specific server info. I have been a Gmail user since it first gave out invites. Although I have several email accounts, Gmail has been my main email platform. I think of it as a "dashboard" for all my other email accounts due to its ease in settings and grabbing emails.